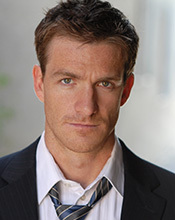 Bradford Johnson is an American producer, director, and actor. He is a member of The Church of Jesus Christ of Latter-day Saints. Johnson was born to parents Bob and Charlene Johnson. His mother is a television and movie hairstylist and makeup artist. His brothers Bart and Adam are actors. He has collaborated with them on a feature film called The Run and a documentary entitled $6 and a Bottle of Water. His family lived in Los Angeles until his parents moved them to Midway, Utah, in 1985. They bought an old flour mill and turned it into a family home and eventually into an award-winning bed and breakfast. He was an extra on Newsies, where his mother was the key hairstylist. He is known for Changing Hearts (2012), Dragon Hunter (2009), and Monsters of the UFO (2005). He appeared in My Girlfriend’s Boyfriend (2010), 127 Hours (2010), Immortality Bites (2010), and The Mormon Bachelorette, season 3. He is also in Scents and Sensibility (2011), and Paladin: Dawn of the Dragonslayer (2013). Brad is the head of media, TV, and film for Fusion-io (a Steve Wozniak company). He produces and directs commercials. He was recently a second unit producer for a TLC reality show. Johnson is the founder of 6 Foot Films. He also has a Facebook community page called Behind the Scenes of Everything. This page was last edited on 5 November 2014, at 21:03.